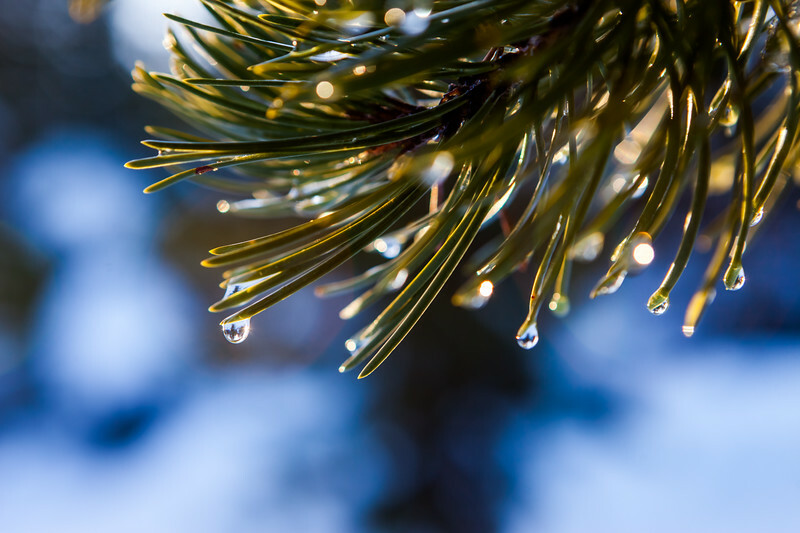 Little drops hang off a pine branch in Central Oregon. Nature in motion perfectly. I feel like if I wait just a few more seconds one of the water droplets will fall to the ground slowly.